Hello everyone! We are Rebekah and Clara reporting from Addis Ababa, the capital of Ethiopia. Currently, we are working as communications interns for the ATTSVE project. If you would like to learn more about us, feel free to take a look at the two previous blog posts. Before getting into posting about our experiences here, we would also like to introduce our supervisor here, Kaleab Zelalem. Kaleab was born and raised in Addis Ababa. 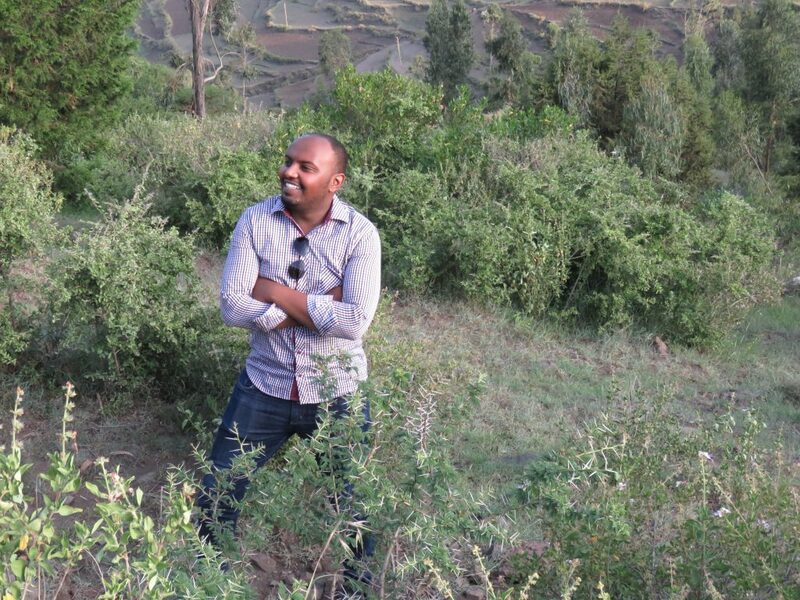 Kaleab studied law at Dire Dawa University, and at Addis Ababa University. In his studies, he focused on human rights law; he won the gold medal in the East African Child Rights moot court competition for students, which is an accomplishment that he is very proud of. After graduation, Kaleab got an internship at MEDA (Mennonite Economic Development Associates). Here, he was responsible for the “Child Safe Certification” in the Safe Threads initiative, which is a social certification in the traditional textile sector in Ethiopia. He later worked as a Contact and Value Chain Officer for MEDA. Kaleab is currently working for the ATTSVE project, and is also working towards his Master’s Degree in Human and Economic Development. He also helps out at his families restaurant on the weekend! Like we said, he sure is busy but we are happy he has made time for us. We are so thrilled to have Kaleab as our supervisor! He puts the “super” in supervisor! Check back for more soon! We are excited to share some of our experiences with you!